Finished! and oh so cute! I think everyone already knows how much I love these string quilts! I previously made a black and white string quilt using a solid green, and this time I decided to go with this beautiful blue solid. This time I made the solid strips a bit skinnier (1 inch) – I like how the blue is present, but doesn’t take away from the black and white prints. What’s interesting about working with all these black and white prints is that you discover that all blacks and all whites are not created equal! When they’re put together, you can really see the color differences. You can see it a bit in the photo above – some of the whites are creamier and some are really starkly white. Luckily, I really like the combination of whites and creams in this quilt! For the backing, I used this fun Robert Kaufman print, with a strip of polka dots paired with the blue solid. The blue is also used for the binding to tie it all together. I stippled this one using a nice light gray Mettler thread, which really looks nice with both the whites and the blacks. This quilt is larger than the last, measuring about 44″ x 51″. 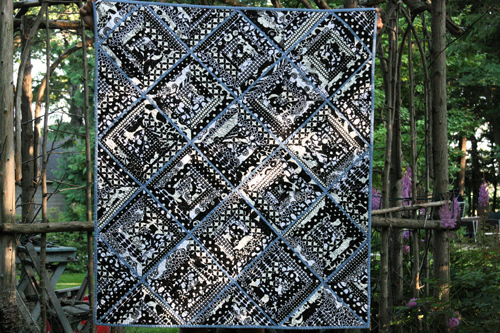 This entry was posted in [search] String Quilts, 2009 Finished Quilts, Finished Quilts, Posts about Quilts, Quilts and tagged baby quilt, black & white, handmade, modern, quilt, quilting, string quilt. Bookmark the permalink. WOW, that is amazing! You inspired me to make a string quilt so I know just how much work they are. (I’m in the middle of it.) I wasn’t sure what to do on the back, so as to not take away from the front. I like the stripe you made, so I might have to do something like that too! This is striking! I love the black and blue together…and that back is phenomenal! Great Work Ashley! I don’t blame you, I’d want to keep it too! I love the touch of the polka dots on the back! Oh my gosh, this is so beautiful!! Beautiful! It’s hard to put up for adoption our ‘babies’, isn’t it?! Very Nice, you’ve been busy. I just started my first string quilt August 1st. I really like how these turn out. Can’t wait to finish it. I have so many quilts in different degrees of completion. I’m on a quest to finish them all and buy new fabric. Looking forward to your next quilt. You should check out my DIARY QUILT. This quilt is amazing! I just love everything about it!! I’m in awe! when i made my black and white quilt i also found that they’re not all created equal as well. it is one of the things that bothered me actually. it kind of makes the creamier ones look dingy. i suppose that is only something the person who made the quilt would notice though. What a beautiful quilt! I love the black/white color combo. GORGEOUS! Love the black & white strings. You have the busiest little sewing room, around! What a way to use b&w – well done! This quilt is kind of crazy beautiful. So Bee U t full! I love this quilt. I love that you made the blue strings all narrow it ties the entire Quilt together. Just a side note, you are really inspiring me. I saw your string quilt and had to make some blocks. I made some pillows for my sofa and just adore them. 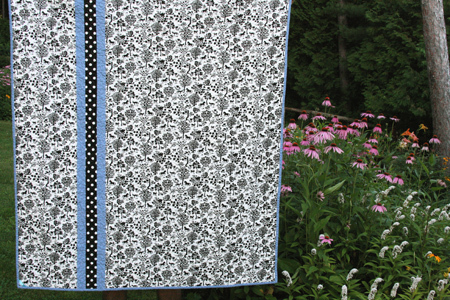 I am going to make a black and white for a baby quilt for one of our friends. So Fabulous! Keep Creating. What a beautiful quilt. I love the back, too! Ashley! 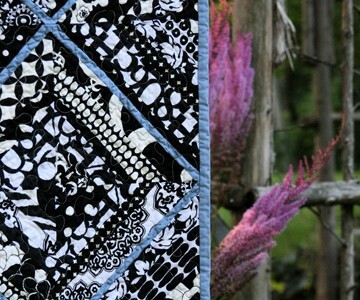 Amazing quilt, way to intricate for me, but I wish that I could create that! I love the look! Beauty! This is such an inspiration. I have just washed and pressed fabric for my 2nd B&W quilt (I just gave away my first for a friend’s wedding). I’m planning to use the Bento Box pattern, so mine may actually be similar. I’m so excited to get started now after seeing your finished project. Gorgeous! I didn’t think I would like this as much as your other quilts, since I’m no fan of black, white and blue together, but WOW! You are so inspiring. And how DO you find the time for such productivity? Even without a kid I couldn’t do what you’re doing. Beautiful! Love the blue strip – I understand why you want to keep it. Thanks for posting the tutorial on this quilt. The blocks go together so quickly. I started my own string quilt a couple of days ago. I used asian type prints and I’m loving it. Very nice!! I love the backing fabric…awesome! This is Beautiful! 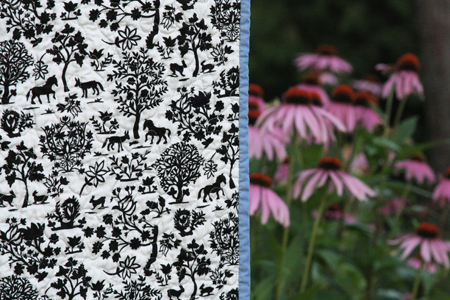 I don’t know how you can part with such beautiful quilts…i love the backing fabric too! So nice! I especially love the print on the back. It’s perfect for this quilt! THIS is the one that may make me try the strip quilting! Beautiful. I meant string quilting. I am in LOVE with the back! Wow! The black and white is great! I like the blue accent color. Really nice. I love it! Love love love! I love how as you stare at it the blue sort of envelopes everything and the whites start to look blueish, and the blacks start to look blueish. It’s hypnotic! What a beautiful quilt! It looks very reassuring and I like the black-white very much! You create such nice quilts!! You make me a lot of ideas for new quilts, but time is missing…. Very, very cute! Well done! Oh, this one is beautiful and the fabric on the back is perfect! Beauitful! I never work with black and this is making me think that I should branch out!! this is BEAUTIFUL!!!!! 🙂 i love it. i think you might be the only one that notices the color difference. i cant tell. the polka dot strip down the back is a great touch. This is fantastically gorgeous! Well done. Wow your quilt is great. 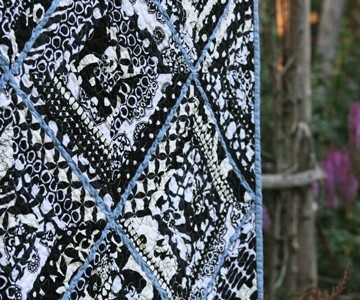 I have been thinking of making a string quilt since I saw your black, white and green one. I have been collecting fabrics. 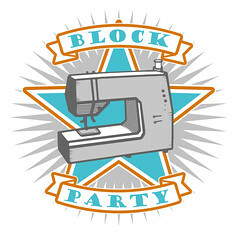 You do wonderful work I love all of your quilts. You are a great inspiration to me. This quilt is so pretty. I love the addition of the blue and the way it sets off the blocks. I just posted about a local quilt show I attended with lots of pictures. I was amazed at the quilts I saw there. This quilt is stunning! I love the blue! So beautiful!! I love it!! This quilt is simply amazing! I love how the solid sets off the mix of prints so nicely! I was *just* talking to my mom yesterday about making a black & white quilt and now I can’t wait to add one to my to-do list and now I’m thinking I may need to add a small bit of solid of another color! I LOVE THIS QUILT! It’s gorgeous! Have you thought about entering any of your quilts in the fair? There are lots of categories, and I bet you’d clean up! It would at least pay for your entry and lots of Fair food and rides. I do this, but usually with the agricultural entries. this is stunning, just stunning! WOW! So beautiful! Did you follow a pattern or is there a tutorial somewhere online that you can follow to make these style of quilts? Gorgeous, stunning, amazing. Love that mix of black and white and blue. 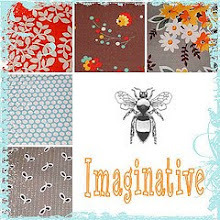 And I am coveting that backing fabric with the animals. Do you know the name of it? I can’t seem to find that print on the Kaufman site, so I figure it is out of print, but maybe if I had the name I could score some on ebay. Any idea? pretty cute! i love the skinnier strips of the blue. Seconding Sara’s question–I’d LOVE to know the name of that backing print! I really like this with the smaller blue stripes. I will have to make one of my own…and soon! Thanks for sharing. I’ll third Sara’s question – I’d love to know if that fabulous backing fabric is still available. Love this quilt ! Did you use a certain line of fabrics or a mixture? Beautiful! Any tips on how you make your highlight color meet so perfectly. I tried this and mine didn’t meet. I love this quilt and it inspired me to make a similar string quilt. It looks like you used 5 or 6 different black and white fabrics. Do you have a recommendation as to how many yards I should buy for each of the black and white fabrics, as well as how many yards for the blue fabric? Thank-you! I really appreciate any advice or suggestions you may have. I love black and white quilts, also. Right now my favorite contrast is lime green. I love your quilts, great job.